NYC earthquake risk: Could Staten Island be heavily impacted? STATEN ISLAND, N.Y. – While scientists say it’s impossible to predict when or if an earthquake will occur in New York City, they say that smaller structures — like Staten Island’s bounty of single-family homes — will suffer more than skyscrapers if it does happen. The report, “East vs West Coast Earthquakes,” explains how USGS scientists are researching factors that influence regional differences in the intensity and effects of earthquakes, and notes that earthquakes in the East are often felt at more than twice the distance of earthquakes in the West. Predicting when they will occur is more difficult, said Thomas Pratt, a research geophysicist and the central and Eastern U.S. coordinator for the USGS Earthquake Hazards Program in Reston, Va. Yet Pratt wouldn’t rule out the possibility of a high-magnitude event taking place in New York, which sits in the middle the North American Tectonic Plate, considered by experts to be quite stable. Though the city’s last observable earthquake occurred on Oct. 27, 2001, and caused no real damage, New York has been hit by two Magnitude 5 earthquakes in its history – in 1738 and in 1884 — prompting many to say it is “due” for another. While earthquakes generally have to be Magnitude 6 or higher to be considered “large,” by experts, “a Magnitude 5, directly under New York City, would shake it quite strongly,” Pratt said. The reason has to do with the rock beneath our feet, the USGS report says. In the East, we have older rocks, some of which formed “hundreds of millions of years before those in the West,” the report says. Since the faults in the rocks have had so much time to heal, the seismic waves travel more efficiently through them when an earthquake occurs. If a large, Magnitude 7 earthquake does occur, smaller structures, and older structures in Manhattan would be most vulnerable, Pratt said. “In the 1920s, ’30s and late 1800s, they were not built with earthquake resistance,” he said, noting that newer skyscrapers were built to survive hurricanes, so would be more resistant. And though it would probably take a magnitude of 7 to topple buildings in the city, smaller earthquakes are still quite dangerous, he said. “Bookshelves could fall down and hit you,” he said. “People could be killed.” A lot of stone work and heavy objects fell from buildings when a quake of 5.8 magnitude struck central Virginia in 2011, he noted, but, fortunately, no one was injured. To be safe, Pratt encourages New Yorkers to keep a few days’ worth of drinking water and other supplies on hand. He, himself, avoids putting heavy things up high. Is Sadr losing patience with Iraq PM Abdul-Mahdi? ERBIL, Kurdistan Region – Muqtada al-Sadr, Shiite firebrand cleric-turned kingmaker, appears to be losing patience with Iraqi Prime Minister Adil Abdul-Mahdi and his failure to finalize a cabinet of technocrats. Although Abdul-Mahdi has been prime minister since early October, he has still not completed his Council of Ministers. Sadr, whose Sayirun alliance of Sadrists, secularists, and communists won the most seats in Iraq’s May 12 parliamentary election, wants technocrats without party affiliations to take office – breaking Iraq’s cycle of patronage and corruption. The parties, however, have not taken Sadr’s challenge sitting down – insisted on their own candidates for the ministries of defense, interior, and other security posts. In a public letter addressed to the Iraqi PM on Monday, Sadr urged Abdul-Mahdi to urgently fill the remaining posts with technocrats – else he’ll go into opposition. “Some hands joined forces again to bring Iraq back to its previous condition of the rule of parties and the corrupt, to deepen their state, dig the roots of their corruption, rule over the resources of its people and potentials, and even its blood again, with external dictation and support,” Sadr said in his letter, published on social media. Sadr said he had rushed to “contain the crisis” by partnering with Hadi al-Amiri, head of the rival pro-Iran Fatih bloc, following the election. These efforts are now at risk, he warns. Those individuals who have gathered in “sectarian alliances” based on “rivalries and previous confrontations” for their own “political goals” undermine the entire project, he said. Abdul-Mahdi must “establish a new phase that meets the expectations of the people, not the expectations of parties, irrespective of their affiliation,” Sadr said. “Hence, dear respectful brother, today you are obliged not to give in to what is taking place behind the scenes concerning the division of positions and what not, but that you have to be free, as we have seen with your previous resignation,” added Sadr, referring to Abdul-Mahdi’s resignation as oil minister in 2014. Abdul-Mahdi’s government must be free to establish a country based on “healthy principles” using technocratic ministers independent of the “whims” of political parties. In previous Iraqi governments, the Ministry of Interior has been handed to an Iran-backed Shiite bloc, while the Ministry of Defense has typically been held by Sunni parties. This time around, Sunni-Sunni and Shiite-Shiite rivalries are preventing these posts from being filled. Sadr’s Shiite bloc has rejected the pro-Iran candidate, former national security advisor Falih Fayadh, insisting on a technocrat. The Sunnis meanwhile have been unable to come to an agreement, with both Sunni camps insisting on its own candidate. Besides technocrats, “the brave commanders” that took part in the fight against ISIS also have a “priority” for the security positions, said Sadr. He demanded an end to “procrastination”. Abdul-Mahdi can count on Sadr’s continued support if he can deliver public services, border security, and improved international standing. “However, if there is personal slacking and shortcomings on your part, God forbid, then you will be responsible in front of Allah, the people, and Marja, and then we will be in opposition to your government,” Sadr warned. nt Falih al-Fayadh, who headed the Iranian- controlled Hash al-Shaabi umbrella organization of Shiite militias, as Interior Minister. This was unacceptable to al-Sadr who decided not to take the position of President or Prime Minister after the elections. „I will not accept a minister of defense or interior who is affiliated [with a political party],“ Sadr said in a statement on his Twitter account, last Tuesday. Misal Alusi, the leader of Iraq’s Umma Party, last week said al-Sadr could be assassinated by Iran or Qatar over his opposition to the nomination of a pro-Iranian politician to the post of Interior Minister and Defense Minister. 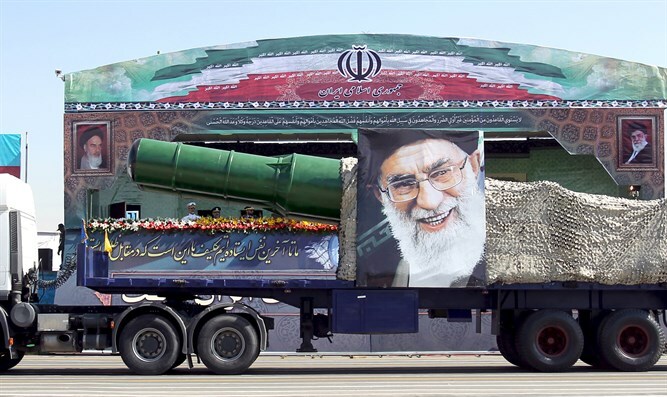 „This is a blatant attempt to thwart efforts by the new Iraqi government to end Iran’s meddling in Iraq,“ the unnamed British official added before revealing that Soleimani’s Quds Force continues to smuggle weapons to Hashd al-Shaabi militias such as Kataib Hezbollah. Ali Aboud, a Kataib Hezbollah leader, said last week that the Shiite militias will not “allow even one US soldier on Iraqi territories and holy sites,“ while he claimed that the Americans were working to resurrect Islamic State in Iraq. “If the situation escalates into a fully-fledged armed conflict it would have a disastrous impact on the almost two million residents of Gaza who are already living in dire conditions of poverty and deprivation of rights. “Gaza is already on the brink of a humanitarian catastrophe, caused by the 11-year brutal and unlawful blockade, and the devastation caused wantonly by three previous armed conflicts. “Another armed conflict risks accelerating the full collapse of Gaza. “Israeli forces must refrain from carrying out indiscriminate attacks and do everything in their power to ensure civilian lives are spared and damage to civilian homes, facilities and infrastructure is prevented. “Israel has a history of carrying out serious violations of international humanitarian law in Gaza – including war crimes – with impunity and displaying a shocking disregard for Palestinian lives. As I See It: Is war on the horizon in Gaza? For Israelis living along the southern border with Gaza, the past several months have been stressful and tense, and the past hours have been impossibly difficult as more than 460 rockets have been fired from Gaza into the region. Rocket attacks, aerial arson attacks, and huge riots along the Israel-Gaza border have terrorized residents of southern Israel every single week since March. Thousands of acres of Israeli farmland and nature preserves have been burnt in arson attacks. Tunnels have also been uncovered, built to strike into Israeli communities. 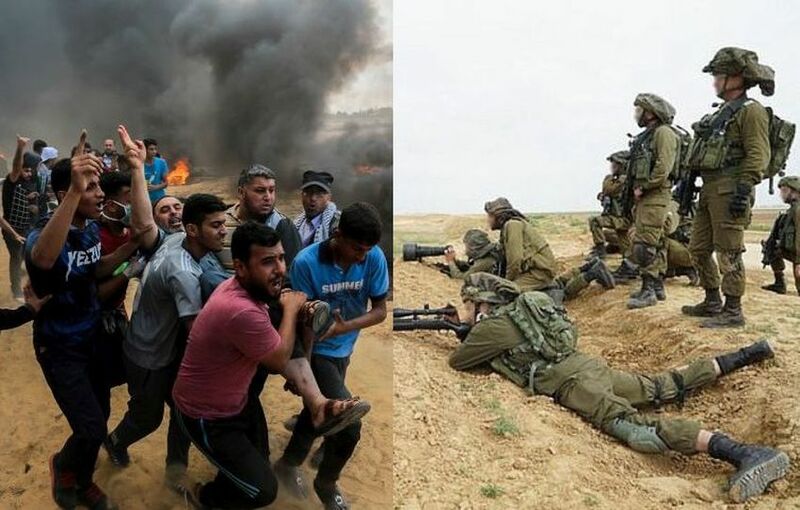 Hamas, the terror group that has ruled Gaza since 2007 instigated these recent hostilities under the guise of protests where tens of thousands of Gazans have attacked and rioted along the border. During these riots massive tire-fires and fire bombs have provided cover while attempts were made to destroy the security border fence so that attackers could rush into Israel–to murder and kidnap Israelis. Since just before 5 p.m. on Nov. 12, over 460 rockets have been fired, triggering an endless stream of sirens, and causing hundreds of thousands of Israeli families to spend the night in shelters. In the worst incident, a residential building in Ashkelon was hit by a rocket, killing a 48-year old man and severely injuring two women. In total, at least 55 Israelis have been wounded by the effects of the rockets since the attacks began yesterday. While Israel’s Iron Dome Missile Defense System successfully intercepted more than 100 rockets that were headed to populated areas, eight residential buildings were hit in Sderot, six in Ashkelon and two in Netivot. The escalating hostilities have brought the Israeli military to the brink of war. Warnings and attempts to get Hamas to end their hostility have largely gone unheeded. Even the recent ceasefire talks should be approached with caution. Several times over the past weeks ceasefires were declared only to be broken hours later. After months of patience an IDF operation is on the horizon. Any military activity against Hamas is difficult and necessitates precision targeting in a dense urban environment. Israeli military policy dictates that civilian casualties must be avoided but any operation will likely cause unintended destruction. If Hamas has any semblance of humanity and care for the people of Gaza they should immediately halt all attacks and rioting against Israel, make peace, and live a normal coexistence. Will this happen? Almost certainly not. Hamas began firing on Israel more than a decade ago- after Israel unilaterally left Gaza, and after Hamas violently took total control of Gaza from the Palestinian group Fatah. They were given and opportunity to choose peace, to choose negotiation, and they rejected it. They have consistently and repeatedly attacked Israel since then. The Hamas charter calls for violently destroying Israel and advocates for killing Jews worldwide. Gaza is under blockade from Egypt and Israel, and Hamas leaders are in hiding. Billions of dollars intended for humanitarian aid have been stolen. Gaza is arguably the most mismanaged, corrupt piece of land on Earth, the people there suffer through it, and yet Hamas still seeks the destruction of Israel as their primary goal. Hamas has another reason for terrorizing Israel. Their authority and economic model essentially relies on extortion. They attack and don’t stop until they get what they want- their goals are usually money or the lifting of the blockade [to import goods that they sell for revenue to fund more terrorism]. The good news is that Hamas is significantly weaker today than it has been in years. The Palestinian Authority has put pressure on them, and their ISIS-like rule is resented by many Gazans. The bad news is that Hamas’s real weapon is its public relations campaign. Firing hundreds of rockets forces Israel into military action, and by using schools and hospitals as weapons depots and tunnel entrances, and by using human shields Hamas is leaving the IDF with very limited options. Hamas is entrenched in the very heart of Gaza which puts its own citizens right into the midst of the battle. Israel recognizes this is Hamas’s endgame and does all it can to avoid playing into their hands. But this type of conflict is messy and Hamas ensures that collateral damage will happen. What we must not fail to recognize is the longer Hamas and its affiliates remain in control of Gaza, the longer they attack Israel, the more severe the consequences will be. It would be helpful for all of us, for the sake of the people of Gaza and Israel, to demand that Hamas put down their rockets, stop the arson attacks, the digging of terror tunnels and let the people whose lives have been so severely disrupted live again – both Israelis and Gazans. Hamas is so obsessed with the destruction of Israel that they have failed to realize they are destroying their own people. – Steven Schimmel is executive director of the Jewish Federation of Central Mass. The views represented here do not necessarily reflect the views or opinions of Jewish Federation or its members.